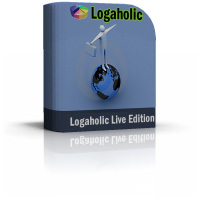 Logaholic Live is the hosted version of Logaholic Web Analytics Software. It has all the features our regular versions have, but we host the software for you on our network. We'll handle the installation, hardware, upgrades, maintenance, performance tuning, troubleshooting, backups etc; and we'll provide personal support by e-mail, or phone. All you need is a website, a standard web browser and an e-mail account.